This entry was posted in She says... and tagged 3-6 months, baby, baby clothes, Clomid, friends & family, love. Bookmark the permalink. oh my goodness. this is soooooo cute! love it. my project for next week is to figure out the sewing machine. Best. Costumes. EVER! Love love love that!!! I saw a family where the parents were chefs and the two babies were a hamburger and a hot dog… but these costumes are so much better! That is ridiculously cute! Great job! I am always jealous of people like you who are so creative in coming up with a clever costume! I never, ever think of stuff like that! What a cute idea! Totally adorable! I LOVE, LOVE, LOVE it! I would never in a million years have thought of that! We dressed up our LO (butterfly) but no costumes for mommy and daddy. We will totally dress up next year though. Kudos to you for your creativity! That is an utterly adorable halloween group costume! Kudos!! Ok cutest freaking halloween family everrrr! Great job! What a great costume Kate! You are so amazingly creating. Thanks for sharing! Those are great!! Did you cut out the letters to spell popcorn, or is that something you bought at a craft store? I love it! This is amazing. LOVE it. I am so impressed with your creativity! oh God that is TOO CUTE!!! love the outfits! That could be the best costume I’ve ever seen!! I absolutely love it! I’m like you – love love love Halloween and love that I’ve found someone who actually enjoys dressing up like I do! Delurking to tell you that this is the seriously the best costume. Ever! The popcorn on the hat kills me! Ditto what everyone else says. Very cute! Great costume idea! So cute! I am a sucker for babies in costume. I can’t wait to dress my own next Halloween! I’m seriously dying. He’s the cutest thing I’ve ever seen. OMG, that’s adorable! You guys all look great! not only is this year’s costume the BEST I’VE EVER SEEN (!! ), I clicked back to see old pics of your halloween’s past. WOW. IMPRESSIVE!! YOU GUYS ROCK!! me and my husband have been together 9 years now and never have even once dressed up for halloween; i’ll admit i’m jealous of you guys and your enthusiasm / fun spirit!!!! y’all are just too cute! I LOVE the costumes! You are so creative! absolutely adorable! you are amazing. AMAZING idea!! That’s such an adorable look. Totally genius. Wow! So creative!!!! I love it! That is ADORABLE!!!! Clever, clever – especially that is a ‘no sew’ costume. My youngest was a piece of candy last year, but that took HOURS behind a sewing mashine. I will definetaly show your costume to a friend of mine that has a baby. The danish dress-up-date is in february, so found your page looking for cool costume-ideas! FAB! Tis is soo cute! I was thinking about incorporating the Bjorn into my little guys costume as well, maybe a turtle or spider?? How did you attach it to the Bjorn? @Erin, Thank you! Just good ol’ safety pins for fastening to the Bjorn. So easy to put on and take off. How exactly did you make this? I want my son to be this for Halloween!!! @Tiffany, I essentially cut one big rectangle of white felt for the front and sides of a popcorn bag shape, and a small square for the base. Then I glued them together, wrapping the big rectangle around the edges of the square to give it some shape. 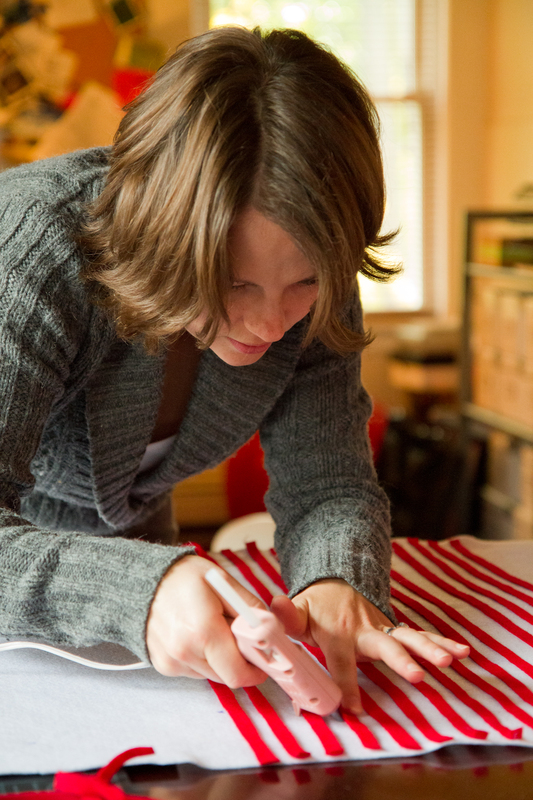 Then I glued on red stripes and the popcorn label, and cut the top in a zig zag pattern. Then I had a sort of curved, half-tube like shape that I just safety pinned onto the Bjorn so the open side was toward my body. Good luck! Thank you so much!! When I put it on my bjorn I think it looks weird like I’m tucking it wrong or something. I have a picture. Did you pin it before you put your baby in or after and have someone help you? And what did you pin it to on the bjorn? How funny. Do you know you’re something of an internet celebrity with this picture? Mostly uncredited I think but I’ve seen this picture of you and Owen a few times on Pinterest and such and just gone hmm she looks familiar -whatever! Until someone posted it recently on my group for August 2013 moms and I went “Hold up! That’s KATE!” And finally made the connection. Small world, even on the internet! I also stumbled across this on Pinterest and I love it! Definitely going to attempt this for Halloween 🙂 It took some digging to find your original post so I will definitely link back to it!! The most adorable costume ever!!! I would happily buy one if you would make one for me! I just don’t think I can pull it off on my own! Interested? 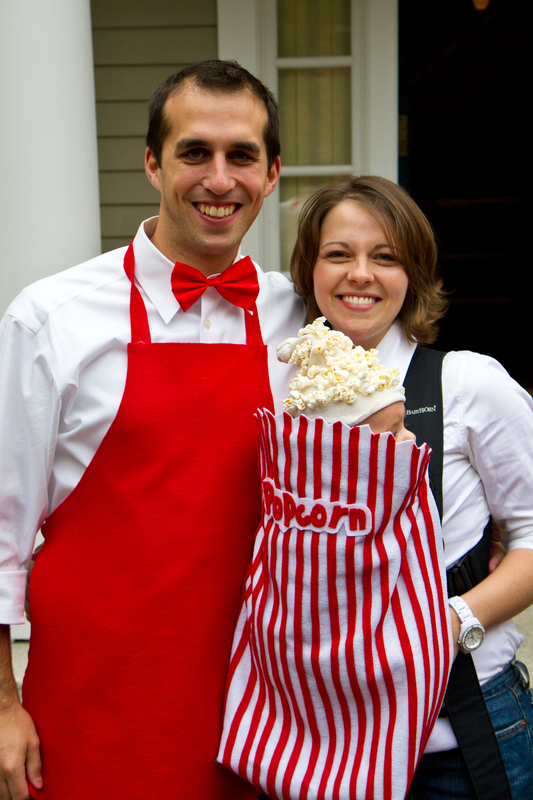 @Christina, Thank you for your kind words about the popcorn costume! It was so much fun to put together (and so easy!). The hat was just a hat we had lying around (it was actually the hat he was sent home from the hospital in). I popped a bag of popcorn and used my hot glue gun to attach pieces of popcorn to the cloth hat. I attached the whole felt “bag” to the carrier with safety pins. It didn’t damage the carrier at all. the hotel industry, to cater the visitors with proper accommodation. financial, and cultural centers. Being highly modern and developed, London allows the travelers to enjoy the urban and modern life. as the water park. There are numerous that incorporate memorable quotes and beautiful pictures. LOVE LOVE LOVE this costume! Did you have to cut out the ‘popcorn’ felt letters or do they sell felt letters? @Laura, Thank you! I did cut out the letters. I’m not sure if they sell pre-cut felt letters. I printed out a picture of the lettering from a popcorn box and then traced/cut myself. I have seen the pic of this on Pinterest but could never find the original post to go with it until I searched google. I pinned it linking this website so people will see your blog. Love this!! I’m going to attempt it this year. O my, I LOVE this! I’ve been searching for costumes for my 2mth old (under 10 lbs) & knew anything I ordered online would swallow my son. I’m not very creative at all or crafty but I LOVE LOVE this & going to start working on it tomorrow for Halloween next week! Thanks so much for sharing this & some of the following comments with instructions. I was hoping to find step by step instructions (because I’m not creative), but excited to try it!!! Curious what you used to attach your “popcorn bag” to your carrier? I love this idea & plan to do it this year with my baby. My two olders & hubby are going to be s’mores. I also assume you used hot glue to put the popcorn on the hat. Didn’t the popcorn just get crushed when Owen laid his head down? So sorry. My phone didn’t load the comments at first but I see you have already answered all of my questions except the popcorn crushing. 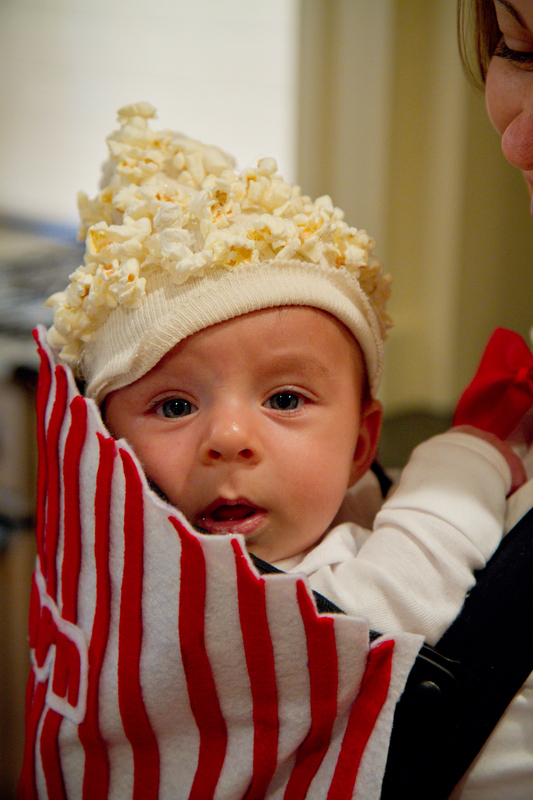 @hbelle, I did use hot glue to put the popcorn on the hat. I made it the night before our Halloween party and only put it on him right before we got there. When I pulled him out of the Bjorn to play or eat, I just took the hat off. Out of the Bjorn there really isn’t a costume at all, so it was really just for show when we were walking around. I love this idea! Hoping you dont mind I will be trying this this weekend when we go trick or treating at the camp ground we are staying at! fingers crossed it comes out as good as yours! I have a boba carrier which is similar so im hoping it looks good!!! After reading all the posts i just want to make sure, you used one larger piece of felt and then a smaller piece to basically make a sack/bag? then cut and clued stripes?? @julie, Thank you! Yes, I used one large piece of white felt that was a rectangle with a square on the bottom (hard to describe). Then I stuck the two seams together on the bottom to make it a popcorn container with one open side, where the Bjorn goes. Then I cut and glued the red stripes on top of the white. Good luck! Love it. We are doing this for our 4-mo old. Trust me. You’ll be getting the credit when people ask! Trying to figure out the square on the bottom part. Nothing like procrastination! I just finished this for my 3 month old! I didn’t read any of the how-to posts so I just winged it….sure hope it will work. Ergo is in the same room where the LO is sleeping! 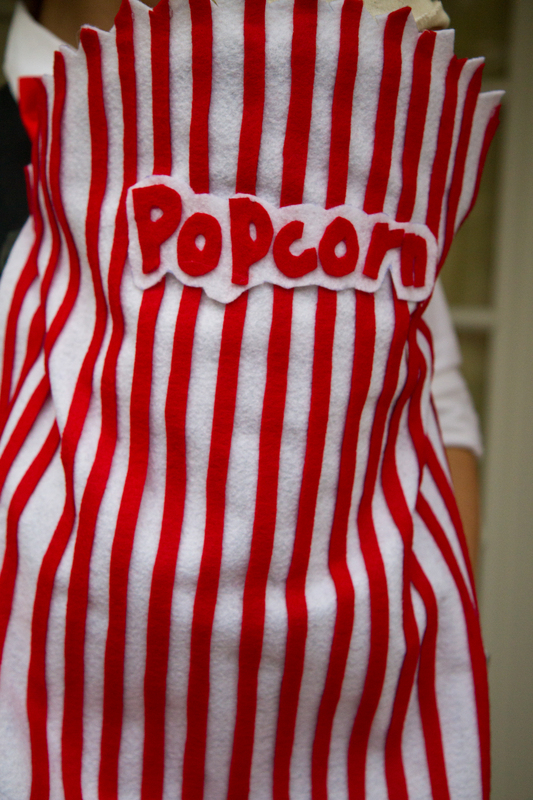 I absolutely loved this idea (my hubby is a popcorn fanatic) for our first newborn and I ended up sewing a version of this (so it might last a few more kids) and got lots of compliments. Thanks for the inspiration! how did you attach the fabric to the baby carrier? I think I read in comments that she used safety pins. I made one of these for my son’s 1st halloween in 2013 & I attached w/ large safety pins. I only used 4 large safety pins ~ 2 on each side (top & bottom). They were not noticeable at all. It was a fun costume & everybody loved it!!! Pingback: 15 Hilarious Baby-Wearing Costume Ideas! Pingback: 10 Best Babywearing Costumes Ever! I love this! Do you have any instructions on how much fabric you used? If I don’t get enough time to sew this up, I’ll use fabric fusion glue. It works great!! Thanks for sharing! Hello. Can I have the pattern for this!! Pingback: Amazing HALLOWEEN & FALL Ideas you will adore! Hi! I’m hoping to replicate this adorable costume! Where did you find the alron and bow ties? I can’t find any that come as a pair and want to be sure the reds match! Thanks! Pingback: 50+ Genius Halloween Costume Ideas For Parents With Baby Carriers - Czaal is a source for latest happening around the world. 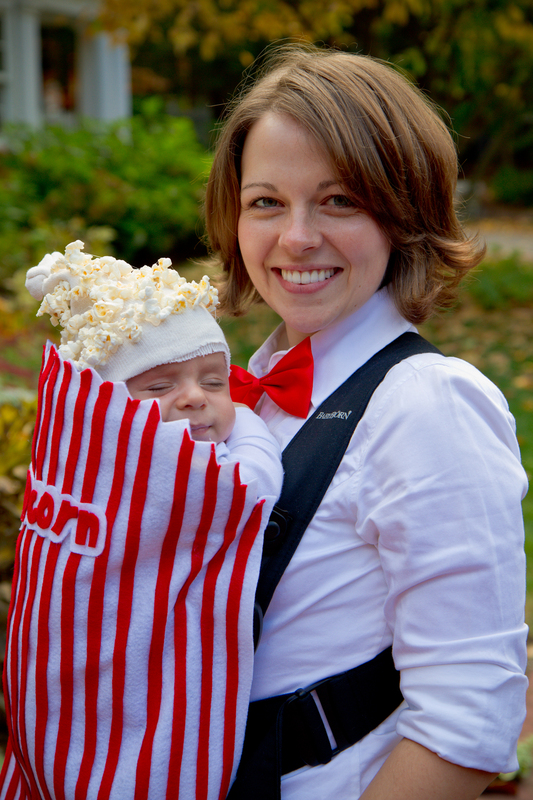 Pingback: Best Babel » 30 Halloween Costume Ideas For Parents With Babies. Pingback: 12 Baby Wearing Costumes - C.R.A.F.T. on the staff of a law firm. Pingback: Fatos de Halloween para bebés: inspire-se!